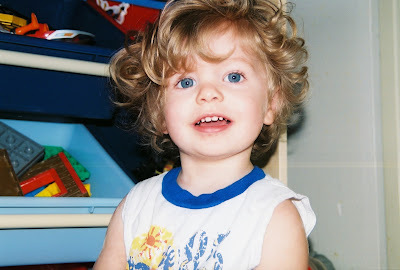 About the time my son was two years old, I noticed an interesting trend when it came to cleaning his room each night. I would help him put his things away and he followed behind me making sure everything was exactly in its place. His trains had to be in a certain order on his train table, in a nice, neat line, and the rest of his toys, books, and even clothes had to be just so. 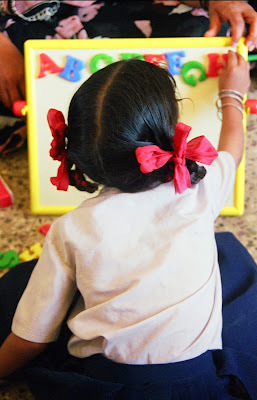 Montessori tells us that the sensitive period for order begins at birth, peaks during early toddlerhood, and generally lasts until around age five. Characterized by an inner need for consistency and repetition, the child in this sensitive period craves routines and predictability. Included in this is the child’s physical environment where everything has its place. When the child’s environment becomes disordered, chaos ensues. Due to underdeveloped verbal skills necessary for expressing frustration, the child strikes out at the disorder. Many temper tantrums can be avoided by having consistent, predictable schedules and ground rules. It is easy to dismiss the importance of order with young children because order on this small scale is not always that important to us. However, drastic changes in our environment can elicit similar feelings of stress. When I was a freshman in college, I came home from class one afternoon to discover the entire contents of my dorm room had been turned upside down. The beds, the mini refrigerator, all my books, my typewriter, my posters, even my leftover soda from the night before. I immediately panicked and thought my room had been broken into! As I calmed down, I remembered it was April Fool’s Day and surmised that my roommate was entirely responsible for this silly freshman prank. We had a good laugh over it and quickly put the room back to rights. But imagine a young child whose world gets turned upside down. Without the understanding or verbal ability, such disruption must feel like an amazing personal affront. The Montessori environment meets the child’s need for order by making sure materials are stored in the same place every day. We make sure each work is complete and repairs are made as needed. Lessons are presented in the same sequence and each activity ends with the child returning the work to the shelf. This physical sense of order sets the foundation for higher level thinking skills such as classification, as well as helping the child order his own space and time. As the child grows, the need for physical order diminishes and makes way for mental order. Now, walking by my 16-year-old son’s room can make me cringe. I know there is carpet in there somewhere, but the mounds of clothes piled around make me wonder how he can navigate his way to the bed. 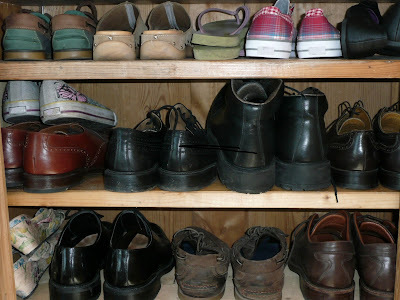 I try not to look, but I find myself standing in the doorway, shaking my head, wondering where that little boy who used to line his shoes up so the toes were in perfect alignment has gone. © North American Montessori Center - originally posted in its entirety at Montessori Teacher Training on Friday, March 15, 2013. NAMC is Now on Pinterest!